It's partytime! Punk's not dead, it's zombified, just like the braineaters in the anarchist undead classic Return of the Living Dead. They dug out of the grave thirty years ago and they still want to party, and their tunes will make any old bones jump around on the dance floor. Celebrate their anniversary with brains and this blasting musical tribute. 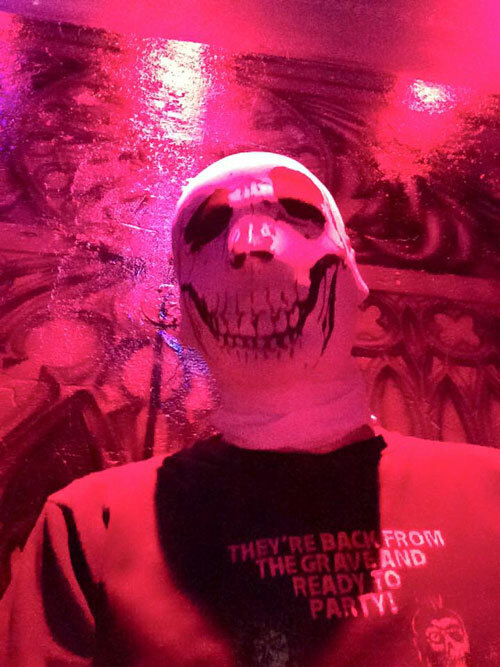 DJ Pervula sheds his flesh and spins his Return of the Living Dead 30th Anniversary Tribute at Shriekfest's Opening Night Party, October 1, 2015 at Boardner's in Hollywood, California.